Quadropolis: for a little dash of prestige in your city, just add a Monument! From the ancient pyramids of Gizah to the modern Opera House of Sydney, people from all around the world have always built monuments to commemorate, celebrate or host special events. Five Tribes – The Artisans of Naqala Available Now in Europe! New Expansion for Five Tribes: Pre-order Now! Does Wil Wheaton have what it takes to rule Naqala? Are the oracles in Wheaton’s favor? Can he actually gain control of the Sultanate of Naqala for his first Tabletop win of season three? 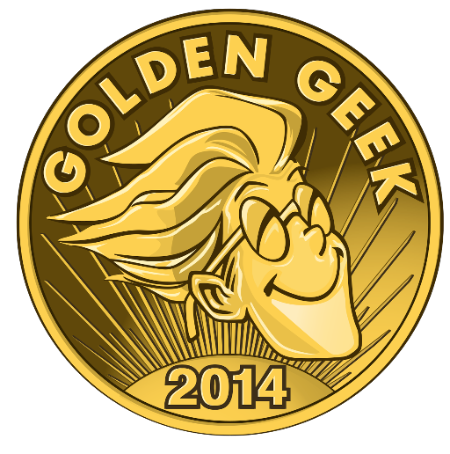 The 2014 Golden Geek Awards were awarded earlier today and we are super excited about the results! Five Tribes won the Golden Geek Award for Best Strategy Game! It is also Runner Up in the “Board Game of the Year” and “Innovative” categories! Ticket to Ride 10th Anniversary Edition joined in on the fun as well earning Runner Up in two categories: “Artwork & Presentation” and “Family Game”! Congrats to Bruno Cathala, Clément Masson, Alan R. Moon, Julien Delval and thanks to all the people that took part in making Five Tribes and Ticket to Ride 10th Anniversary Edition! Five Tribes available again in North America stores! Now is the perfect time to go wander in the Sultanate of Naqala and why not become its next ruler! When you pickup your copy of the game, you can add a little touch of magic to Five Tribes by asking your store for the Dhenim Djinn Promo Card.